What Are Salvia Divinorum Plants? The salvia divinorum plant is predominantly found in Mexico’s Mazateca region. The salvia plants that can be purchased at your local greenhouse are not the same. 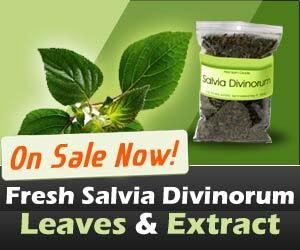 There are many varieties of salvia but salvia divinorum has very potent psychedelic properties. The leaves are usually smoked, chewed, or brewed, and have become popular with people who wish to experience a mind-altering utopia. 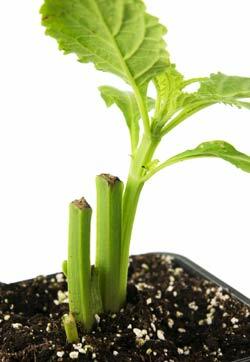 Following is some interesting information introducing you to this plant, its properties and how it is used. Discovered in the late 1930s by anthropologists, salvia divinorum was among several remedies and magical cures they studied in the Mazateca region of Mexico. This plant was typically used by the region’s native people. Its distinctive properties were used as an aid to healing and also as a means of seeking knowledge of the future. Shamans or healers frequently drank a mixture made from the leaves of the plant. The anthropologists brought it back to the United States for further study. In the 1990s, anti-establishment groups from around the world started using it for its psychedelic properties. When it is smoked, chewed, or brewed, it produces psychedelic effects. It is sometimes called diviner’s sage and offers a true salvia divinorum trip! Its effects can be mild or extreme, depending on the potency you are using. It is definitely considered a strong psychedelic. So what do users normally experience when they use salvia divinorum? It depends on the amount consumed. If it is smoked, you can feel its effects in as little as 30 seconds or up to two minutes. The ultimate experience can take as long as five minutes to happen and the salvia divinorum trip can last up to fifteen minutes. During this fifteen minute trip, users can experience distorted thought patterns, trancelike states, and change in the temperature of their bodies, time warps, great panic, amplified sensations, increased perspiration, and the feeling of having travelled somewhere else. The salvia divinorum effects are of shorter duration than those produced by other psychedelics; however some of its effects can be felt up to an hour later. Some cautions here; if a potential user has a mental illness in their family, salvia divinorum should not be used. Also, never, ever drive when using it! The risks are too costly. Multiple use of the plant can amplify the trip, maybe even extend it. When using salvia divinorum, it is wise to have a non-user present in case of an unexpected emergency. You can go to this page and read stories of what real people have experienced while on Salvia.